Just off Regent Street is a small independent venue you would walk straight past if you didn't know it was there. 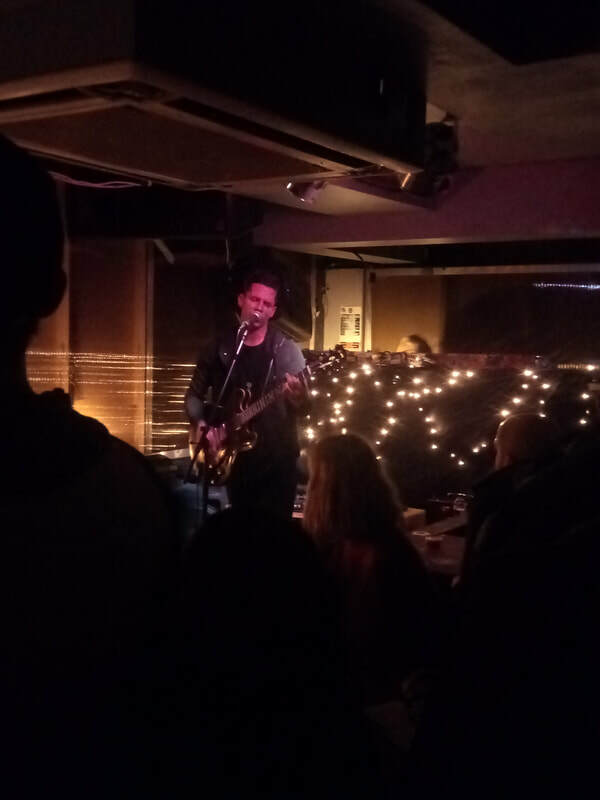 The Social in London was the location for one of warner music Nashville's latest additions, Devin Dawson, who is currently making his way up the charts with the single All On Me. Devin was playing a one off gig in England at the socials never fade sessions, an evening of four artists from different genres. As the third act of the night Devin had been stood watching the other acts before it was his turn. Without a roadie or fellow band member in sight Devin made his way through the crowd, via a reserved table to collect his guitar, and set himself up on the corner stage. Just 24 hours after landing in the UK and beating the jet lag through tequila, Dawson opened his six song set with a track that is so new it wasn't even on his Dark Horse album, Any Day Now. Dawson told the few hundred people in the intimate crowd how he meets with his band most weekends to write new songs. With the crowd listening to every word Devin broke out into the top 10 hit All On Me before taking requests and negotiating with the crowd if he could do a seventh song. Thankfully for those in attendance they got their way and were treated to Asking For A Friend before he closed with the title track from the album Dark Horse, a track that sums Devin up in three minutes and I'm sure it will be a track for many years to come.